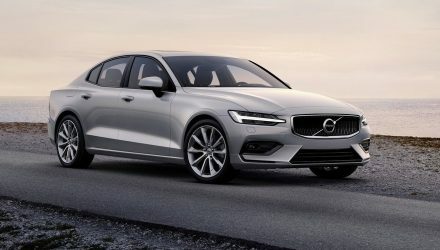 The new, 2019 Volvo S60 will debut next week, and it looks like the range will be topped by a ‘Polestar Engineered’ variant for the first time. A teaser has been sent out on social media to get the excitement started. 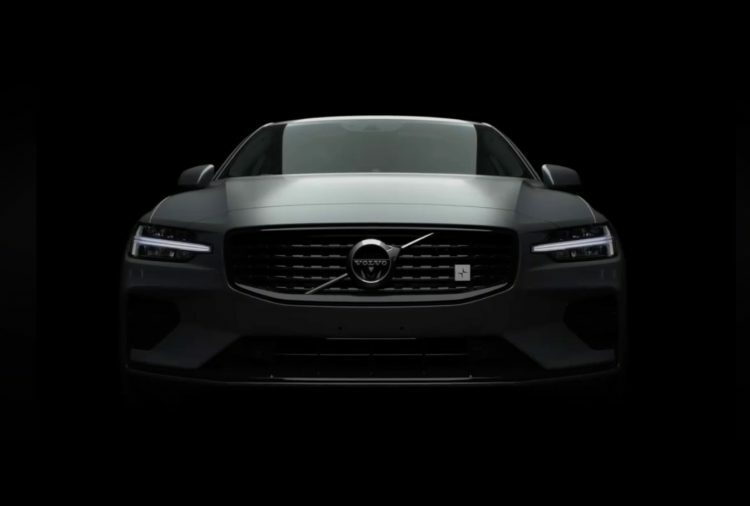 As you can see in the teaser video below, the 2019 S60 will be available in Polestar trim, highlighted by the discreet Polestar badge within the front grille. 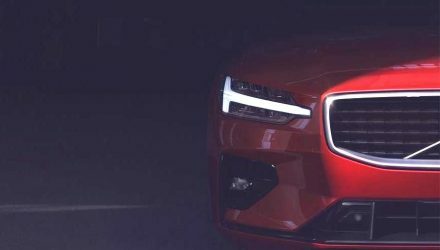 The new sub-brand, called Polestar Engineered, is set to debut with the new S60 and is expected to roll out for other models in the showroom. According to reports, the S60 Polestar Engineered will be based on the T8, featuring a 2.0-litre turbo and supercharged four-cylinder engine paired with an electric motor assist system. Combined output is set to top at around the 310kW mark, with torque boosted to 670Nm (from 640Nm) with thanks to Polestar. Polestar is expected to apply a number of enhancements to the car, including providing bespoke wheels, Brembo brakes, Ohlins sports suspension, and some trimming updates to the interior. We can also anticipate some subtle aero revisions for the exterior. 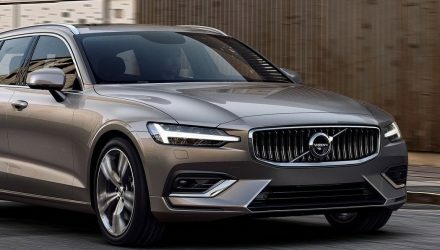 As for the new S60 itself, we already have a pretty good idea of what it will look like thanks to the reveal of the V60 wagon version earlier in the year. At the front is the new-look ‘Thor hammer’ headlights with daytime LEDs, while the rear is likely to adopt thin C-shaped taillights as previewed by an earlier leak. Powertrains will contain only petrol or hybrid options as Volvo phases out its diesel engines. This move will eventually spread to other models in Volvo’s showroom as many countries impose stricter regulations on emissions and even bans on diesel cars. At the top of the range, aside from this Polestar Engineered model depicted here, will be the T8 Twin Engine hybrid. In the V60 wagon the unit produces 290kW. A T6 Twin Engine is also likely, developing 253kW. Both of these will feature all-wheel drive running gear. 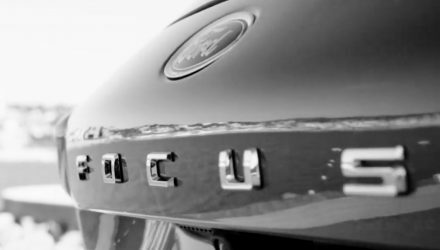 Lesser variants are set to retain front-wheel drive like the outgoing range. We won’t have to wait long for all of the details as the official debut is penned in for June 20. Check out the quick teaser below for a sneak peek.